Ram Kumar is widely acknowledged as one of India's most distinguished painters. He is also an accomplished writer of short stories in Hindi. His stories are profoundly moving reflections on people who find themselves alienated from life in urban India. Austere in style and graceful in form like his paintings, they offer an imaginative record of life in middle class India since independence. Ram Kumar was born in Shimla in 1924. He did his M.A. in Economics from St. Stephen's College, Delhi in 1945 and studied art under Fernand Leger in Paris from 1949 to 1952. His paintings have been exhibited in some of the most famous galleries in India and abroad. His first novel, Ghar Today, about the partition of India, was published in 1953. 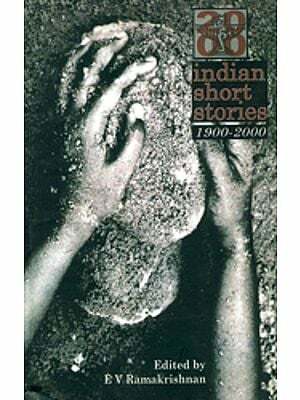 Since then, he has published six collections of short stories which include Husne Bibi Aur Anya Kahaniyan, Samudra and Shilalekh Tatha Anya Kahaniyan. For his contributions to Art and Literature, the Government of India honoured him with a "Padmashree" in 1972. he was also given the prestigious "Kalidas Samman" in 1985. Alok Bhalla teaches at the Central Institute of English and Foreign Languages, Hyderabad. He studied at St. Stephen's College, Delhi and got his Ph. D. form Kent Sate University, Ohio. He has published extensively on colonial India, Latin American and 19th century British literature. He has also edited Stories About the Partition of India (3 volumes) and Yatra: Writings from the Indian Subcontinent (6 volumes). In addition, he has translated the woks of Nirmal Verma, Intizar Husain and others into English.